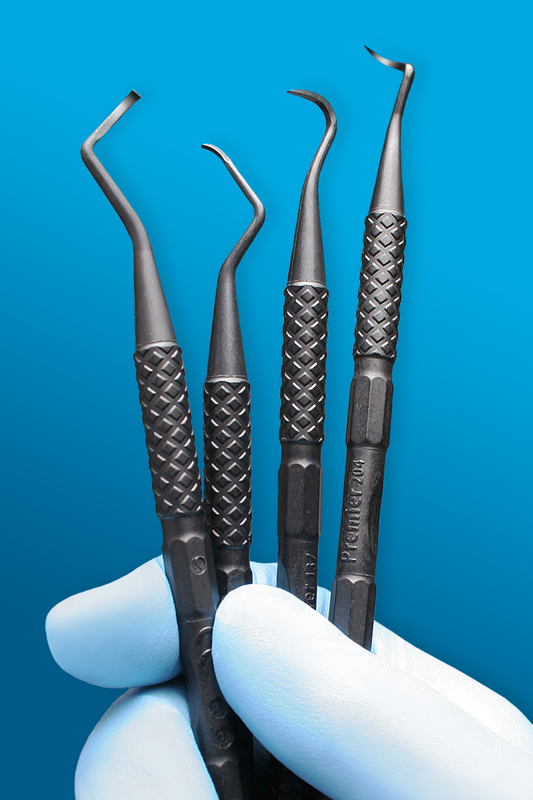 Premier Implant Scalers - 137 and 204 Styles | PREMIER DENTAL PRODUCTS CO.
Premier Implant Scalers are made from fiber reinforced graphite that will not scratch implant surfaces and offer tips that are thin and sharp with well-defined edges. The graphite is strong yet slightly flexible, allowing the tips to access tight areas effectively and safely. The redesigned handle also has textured grips and a larger diameter for greater comfort and control. Premier Implant Scalers can be reused, are autoclavable (273°F/134°C), and are available in 2- and 5-instrument packs.